Stop Throwing Away Fresh Produce By Using FreshWorks! I received product samples for review purposes. All opinions are my own. Now that we are officially in summer our family cannot get enough fresh fruits and vegetables. The only problem is that if we let them sit too long they go bad and then we have to throw them away. I hate doing that because fresh produce is not cheap so I feel like we’re just throwing money in the trash can. Thankfully, I was given the FreshWorks™ Produce Saver to try and boy, am I sold! 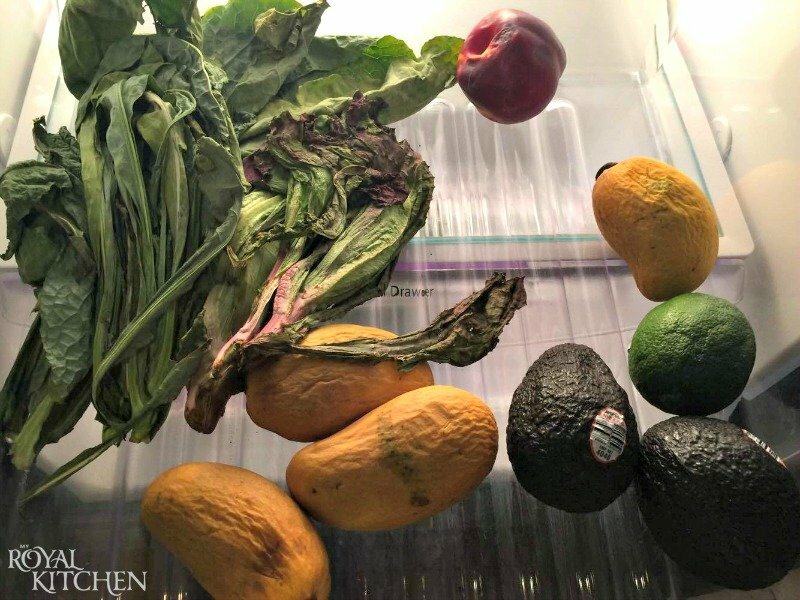 I took the Long Live Produce Challenge and compared my produce in the FreshSaver to the produce in my crisper drawer in my fridge. As you can see from the below photo, there’s NO comparison! My FreshWorks™ Produce Saver kept my fruits and veggies fresher for longer by using revolutionary FreshVent™ technology to regulate the flow of oxygen and carbon dioxide, while the CrispTray™ helped to reduce moisture and spoilage. 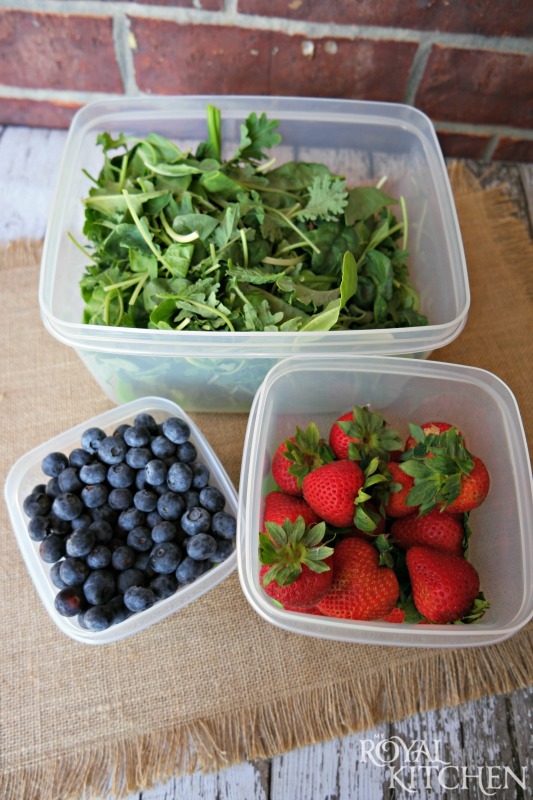 This technology is what kept my fruits and veggies fresh for up to 80% longer! Unfortunately, the produce in our crisper drawer ended up in the trash. Small (2.5 cups). This is ideal for small berries. Medium (6.3 cups). This is ideal for medium size berries, such as strawberries. Large (17.3 cups). This is ideal for leafy greens. Did you know that Americans waste 23 billion pounds of fresh produce each year because it spoils before we can eat it? That’s 187 pounds per household! And as Americans we throw away $24 billion dollars worth of produce per year which comes out to $192 per household! These statistics are insane! I challenge you to take the Long Live Produce Challenge as well and start reducing waste and saving money in your family! Start seeing how much longer your produce can last with the FreshWorks™ Produce Saver! 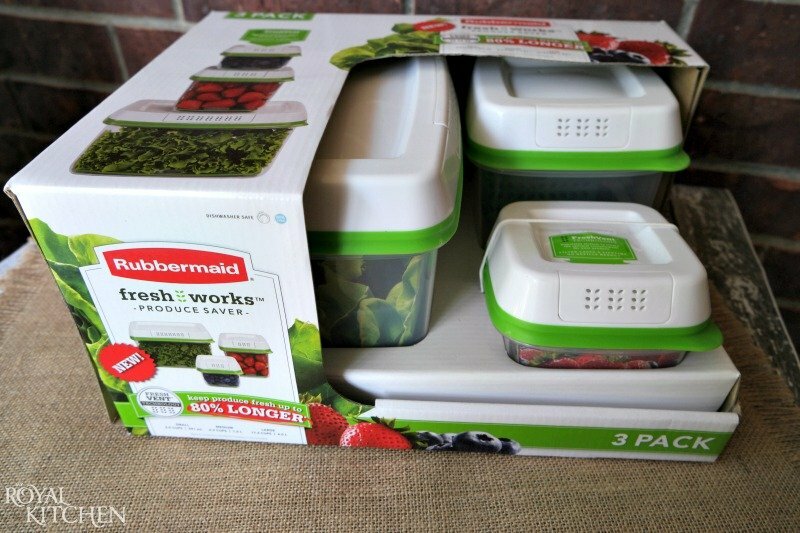 Enter our giveaway to win your own FreshWorks Produce Saver 3-Piece Set!